Enjoy incredible views of La Reunion's Cirque de Mafate from the Piton Maido summit accompanied by IFMGA-certified mountain guide Olivier. 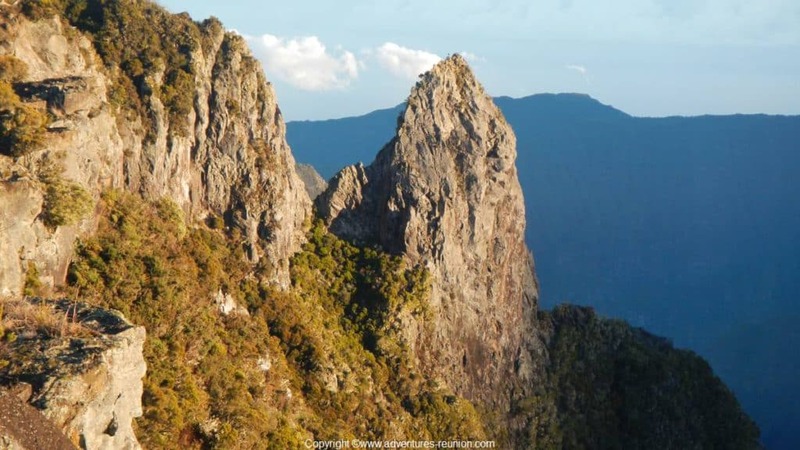 Come climb Piton Maido and enjoy magnificent views of the famous Cirque de Mafate in Reunion Island! 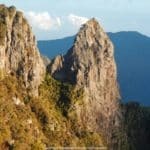 This 2170-meter needle is right at the center of the Cirque de Mafate. Less popular than nearby Piton de la Fournaise, Piton Maido offers different routes available to climbers of all levels. Once at the top, the magnificent views of the mountains and the deep blue sea as a backdrop will leave you breathless. I offer two different alternatives to climb Piton Maido. Intermediate climbers can choose to ascend using the “Fil du rasoir” route, while beginners should opt for the “Clin d’oeil au defi” route. This last option is accessible to anybody with an average physical condition. 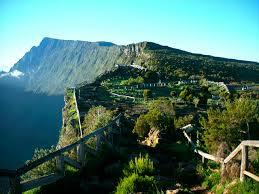 La Reunion Island is located in the Indian Ocean, east of Madagascar. It is an overseas department of France. It is 63 kilometers long and 45 kilometers wide. 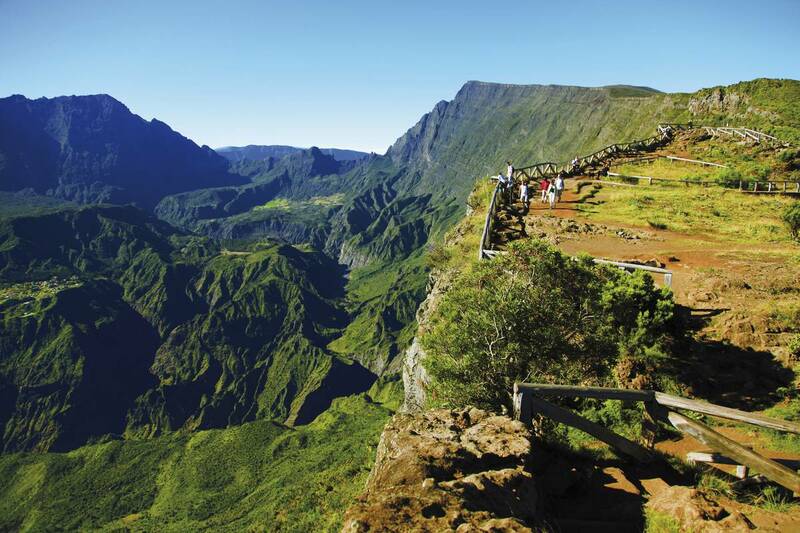 With its volcanoes and beautiful and unique beaches, La Reunion is a major tourist attraction in this corner of the world. 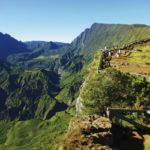 If you’re visiting La Reunion, don’t miss out on this Piton Maido ascent! The stunning views from the top will leave a long-lasting impression. I’ll even include photos and video footage with the price to make sure you’ll take the memories home. I can guarantee you won’t regret it! 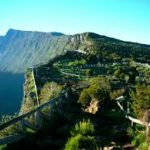 Want to check out different climbing options in La Reunion? Take a look at my 3 Salazes 1-day guided climbing traverse! Don’t hesitate to contact me if you need more information on this tour. I’m an IFMGA-certified mountain guide and will be excited to show you around La Reunion’s most beautiful spots! Prices listed correspond to the "Clin d'oeil au defi" option. Prices for the "Fil du rasoir" option are as follows: €220 for 1 person, €110 per person for a group of 2. Mountaineering - 1+ day - Interm.